5 vectrix owners decided to do a small join venture and buy 2 leaf batteries. These 96 modules will give enough juice for 5 vectrixs! It will have installed an emus bms. The long terminals on the modules will receive the classic A B emus boards. The combined buy is the way to go! I think I own 2 of 3 Vectrix in my state. * Where you managed the batteries packs ? * Total batteries packs cost / Cost per conversion ? * What's the predicable break-even point ? * Total mileage done on original pack ? * Changes in weight ? Has anyone organized a store for those of use who like NiMh batteries? Just a database of people who still have batteries from their old pack or a clearing house of used but good batteries. I am not sure I will ever get thru to justifying a Li pack, but I can see losing a battery or two, or replacing the whole pack with batts that others don't want. So that is one board per actual cell package, because you also fitted the central posts with one each? Each of the 18 packs has 4 cell pouches in it, 2s2p, so 1 board per 2p cells in each pack. 2 boards for each pack. So 36 BMS modules? Right? I counted 19 battery modules, which would require 38 BMS modules (assuming all 38 pairs of paralleled cells are actually being utilised). I see an European licenseplate. Italy ? What about the costs ? I've got a Nimh-batterypack.Last year a few cells were broken,and changed by an old dealership. Now it seems to me that i have the same problem again.Temperaturelight lights up,and the display says "Celhot". What's usefull.Repair the Nimh-batterypack ? Or a conversion ? Don't want to spent thousants of Euro's on my Vectrix. In my country a second hand BMW c-evolution (low miler) goes for 10500 Euro's. Yes, 19S modules= 38S 2P cells. What's useful. Repair the Nimh-battery pack ? Or a conversion ? It depends on what range you need and how much money you want to spend on your vectrix. Nimh cells were good cells, however the are getting very old, standard range today hangs around 30-35 km. It is easy to find NIMH replacements, from old nimh vectrix which are converted to lithium. If you need more range, conversion is the only way. Vectrixparts and fuelfree are offering good battery conversions, with full working firmwares, but the price is out of my budget. If you're like me, an architect in the middle of the 7-year-stepest crises of the last century of my country, Catalunya, cheap leaf is the best way: search for a battery of a crashed leaf, sell the modules you don't need, and figure out how to make that leaf work with your vectrix. http://shop.vectrixparts.com/vx1-bms-board.html. They provide you also with correct programming for your bike TO MATCH your leaf cells. Your conversion, after selling the modules you don't need , may cost modules +BMS+firmwares below 2k Euros. If you don't like the easy way, there are plenty other options, such as the BMS I'm installing on my vectrix, the EMUS. My range now is 50 km.That is enough for commuting.Nimh-cells are available. But that basicaly does not solve the problem. A Vectrix,I've experienced,is not a stable platform for daily use.It can become one,if you spend money,and improve it. That's normal,I guess.But how far do you want to go. I want to know more about making the platform stable (reed:improve it),and the costs that come with it. Vectrix is bankrupt,people don't know the brand,and about electric driving.....You know the prejustice. So,let's use and repair it.But not against any cost. Because of those reasons,a Vectrix is basically,unsellable.You'reck with it.Even give the bike away is hard.... So,let's use and repair it.But not against any cost. There's one way to lower cost, you can avoid installing a BMS. Some vectrix are running without BMS. Raised voltage safe limits + good quality cells = The cells stay in balance for long time, but sooner or later it can happen a serious disaster: I highly recommend to use them WITH BMS. My charger is a 3.0 EVPS.Had to buy it new last year.The old charger just stopped charging,at any level of charging. The bike also had a software-update.And of course,the battery was checked,and bad cells were changed. But a BMS ? How do I have to imagine that myself. A Nimh-batterypack are 102 cells,connected in serie.The pack is split in two packs.The frontpack has 54 cels (6 rows of 9). The backpack has 48 cells (6 rows of 8). Each row has one temperature-sensor.The rows are stacked in 3 row,two stacks next to each other in a case. Do I have to balance them by row ? The BMS talk is most relevant to the folks with Li batteries. You have the NiMh battery, which was produced without a sophisticated BMS. The way these cells get top-balanced is by slightly overcharging some cells during the equalization phase, which gives time for the "slower" cells to catch--up in charge and also get fully charged. Yes, you could install a BMS to monitor each of the 102 cells, but that is not cost-effective and monitoring only 1 in 8 or 9 cells kind of defeats the purpose and you might as well not bother. You should consider an "aftermarket" software for your specific bike, which preserves the battery better than the original from Vectrix (the OEM software overcharges and allows to over-discharge the battery, which greatly reduces its life span and often is the direct cause of individual cell failure). EDIT: also, if you leave a very healthy margin before you charge your battery (meaning, you don't run it to the red light ever, leave at least a 1/4 charge in it every time, better 1/3 or 1/2), you will have a much longer life of your NiMh cells. Also, because these cells I feel are underpowered in terms of max. sustained current, you don't want to use full throttle much, and never when nearing the end of your range. That means, your range is not 50km (from max charge to red light) - your range is perhaps half to 3/4 that at best. If you use your max range, you will damage the NiMh cells for sure. Replacing individual cells is a great hassle but can be done and will be practically free as people are giving away old but still OK NiMh cells, so you pay nothing or just shipping if know how to do it (just takes time). f you leave a very healthy margin before you charge your battery (meaning, you don't run it to the red light ever, leave at least a 1/4 charge in it every time, better 1/3 or 1/2), you will have a much longer life of your NiMh cells. By much longer do you mean twice as long? If I only discharge to 50% than by definition I will get twice the charges of discharging all the way. Is it a LOT more? My commute takes me to 2-3 bars every day so I will not be able to follow your advice. There are three ways doing deep charge/discharge cycles are bad for the NiMh cells. First, diminished capacity due to normal chemistry: deep discharges and full charges age the battery faster than more numerous bur shallower ones. Meaning, if over the course of 1 year you do 100 deep charge/discharge cycles that let you cover 50 miles each, that will age the battery more than if you did 200 shallower charges at 25 miles each during one year. You travel the same distance overall in both cases, but if you measure the max capacity of the pack at the end of the year, after the 100th deep charge, it will be somewhat less vs. what it would be after the 200th shallow charge. So by the time the useful capacity of the pack drops by some percentage due to usage, you will cover more miles with more frequent shallow charge cycles than with fewer deep ones. What is the exact difference is hard to quantify and depends on many factors, but there are many papers out there that agree there is a difference. Second, cell damage due to over-discharge. This happens when one or more cells have lower capacity than the rest of the cells and go "empty" while the pack as a whole still shows voltage high enough to not trigger a low voltage protection. The motor controller can't tell without a per-cell BMS that this is happening. Those "empty" cells will age quicker or get damaged. Old NiMh packs are especially prone to this. So the need to leave a healthy margin on the bottom (i.e., to not discharge deeply). Without a per-cell monitoring you don't know where this safety margin is. Third, overcharging. That happens every time an equalization cycle is entered. If the pack is not top-balanced, some cells will be fully charged before others, will overheat, and age quicker or get damaged. Again, without per-cell BMS, the charger can't tell if/when this is happening. Old NiMh packs will be more prone to this condition. 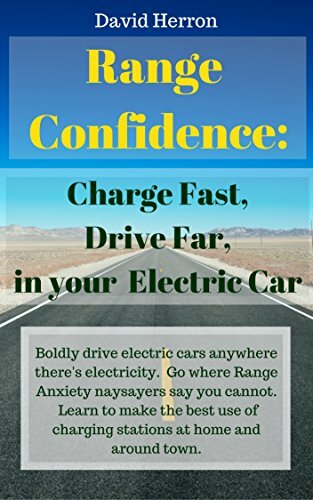 If your commuting range requires a deep charge-discharge cycle, you for sure will suffer from #1 above, and if your pack is not well equalized and has cells with greatly different capacities, will suffer from 2 and 3 as well. That's how it is, unfortunately. A Prius only uses less than 1/2 the pack's capacity. It never overcharges or over-discharges in normal use, nor does it do deep discharges. The Vectrix with OEM software uses a lot closer to the max battery capacity, and routinely overcharges and allows over-discharging, so its battery ages faster. I'm finally repairing my Nimh-batterypack.I've got spare cells.Until now i found a dirty temperaturesensor. I messured the rack seperately,and they all had the same voltage.Also the individual cells have the same voltage. This is the "backpack".I still have to do the frontpack. The magic moment is in putting back the packs,and connect them.Do it the wrong way,and i'll blow the fuse of the motorcontroller. There is a trick with a ordinary 60W 230V lightbulb.What do i have to do.Who knows that. There is a youtubevideo,but it's not very clear to me were to connect the lightbulb. positive batterypole and the positivecable of the motorcontroller,and wait for a small flash of the lightbulb). HI ROB944, IT'S better to put the light bulb between the (minus cable on the controller and the minus battery post) and cover the top of the cells but leave just a little open space for the (minus post) you will have to touch the (minus cable to the minus post within about 2-3 seconds. it's also better to ware thin rubber gloves. Is this because of the short-fuse risk ? BTW update:I did the frontpack as wel.I found 2 leaking cells (oil or electrolyte ? ).They did still hold their charge,but i replaced them. Hi rob, I'm glad you managed to replace the faulty cells. The inrush current limiter (ICL), the bulb, controls the flow of energy when re-plugging the battery. The MC recharges the condensers without control. without controlling you the energy flow, massive quantity of electrons will break inside the MC in form of huge electric spark, damaging electric components inside the motorcontroller. Remember, BEFORE putting the entire pack under charge, these replaced cells must match the voltage of the battery cells, in order to match the state of charge. If SOC is not the same, these cells will be overstressed and they will collapse. Ideally, you have to fully charge the new cells, then discharge them until they have the same voltage as the rest. Charge each of the new cells individually with a charger such as a variable voltage power supply or an R/C (hobby, remote control car) charger that is made for this purpose. Or, discharge all other cells to the SoC of the new cells. Because your new cells are lower voltage SoC than the rest, the rest will be overstressed if you plug the bike charger before you have individually balanced the cells. Or during your first ride, if the new cells are lower SoC than the rest, they could fully discharge/reverse and get damaged. I took out the rear batterypack,and slided the frontpack to a free position,so I could take of the lidd. The row with the new cells,was in the top layer of the batterypack.I took the row out. A proper charger (for Nicd/Nimh,LiFe,LiFePo,LiPo and lead batterys for RC stuff) is ordered. Charger has arrived.Cells are charged,and all have the same State of Charge.Put back the batterypacks,and connected them. The light-bulb trick works great.Still the fault hasn't gone. Now what....Okay,let's feel how hot the pack becomes.Contactswitch on,runningswitch off,pull left handlever,and the temperature is 29 degrees centigrade.I got a kind of feeling that the batterypacks are not warming up.With a handheld temperaturesensor i investigated the packs.Nope,the same temperature as my garage.Faulty temperaturesensors maybe. So I disconnected the temperaturesensors of the frontpack.No result,stil got a hot cell.Then unplugged the both.Hey,the faultmessage of "hotcel" is gone.After a while (around 20 seconds) a yellow spannerlight lights up,the display says "no ts" (No TemperatureSensors). So I connected the temperaturesensors of the frontpack agian.The result is the same. I think I have faulty or broken temperaturesensors of the backpack. - The bike still runs. - The bike still charges. My Vectrix VX-1 has a new (private) owner. So,from now on it's Brammo,a Brammo Empulse R.
And I am the new owner of this Vectrix! So I have two now. A grey/white one coverted to 72Ah LiFePO4 Calb Cam cells (almost 10000km since conversion) and a blue/white NiMH one.